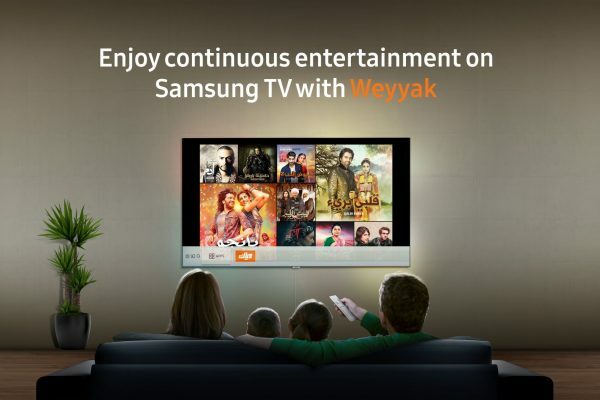 Weyyak, Zee Entertainment’s first Arabic Video on Demand platform in the MENA region has partnered with leading brand, Samsung Electronics’ SmartPack offering. Through this tie-up, consumers will have an unlimited range of content at their disposal, including thousands of movies, latest TV series and a host of premium content. Weyyak provides exclusive Indian, Bollywood films, series as well as premium Arabic content for free that is available on both website and mobile devices. Through the VOD users can access a huge content library of Indian dubbed Arabic titles, Egyptian & Turkish content including genres of romance, drama, thriller & lifestyle. Weyyak app is now available Exclusively for Samsung TV users who purchase the new range of Samsung QLED series TVs, and UHD TVs with the Smartpack integration. Nadine Samra, Vice President Digital Business ME & Africa: “Weyyak is a pioneer digital product of Zee Entertainment targeting the Arabic audience globally, the spirit of the service is summarized by the product name “Weyyak” which means with you in Arabic to view anytime and anywhere. Our unique VOD proposition of Indian dubbed content into Arabic and A class Arabic content paired with Samsung’s SmartPack offering, will create a special viewing experience for the MENA audience. Weyyak Video On Demand will be adding a huge number of diverse titles and content for Ramadan 2019, so stay tuned.